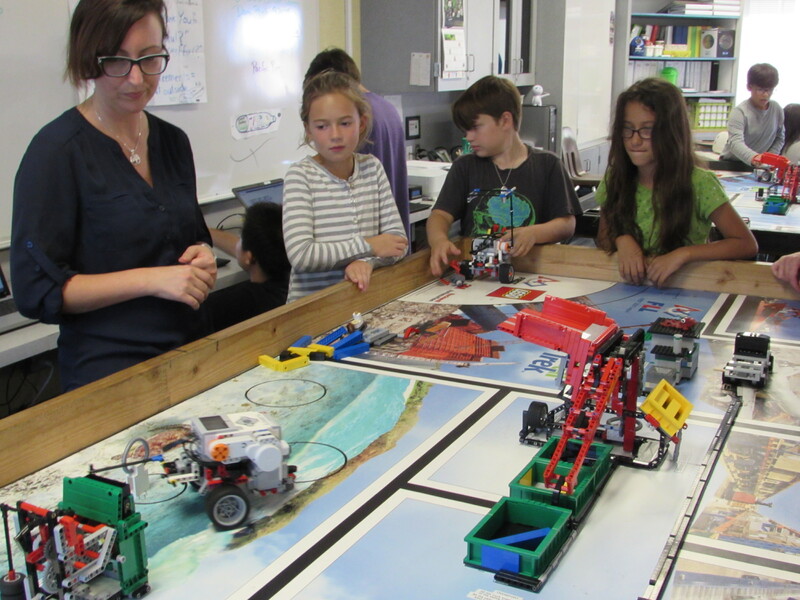 CARLSBAD — The robotics team at Jefferson Elementary School is one part technical and one part practical. Students from Valley Middle School, Jefferson, AOMS, Pacific Rim and Magnolia gather each week to dive into the world of engineering. 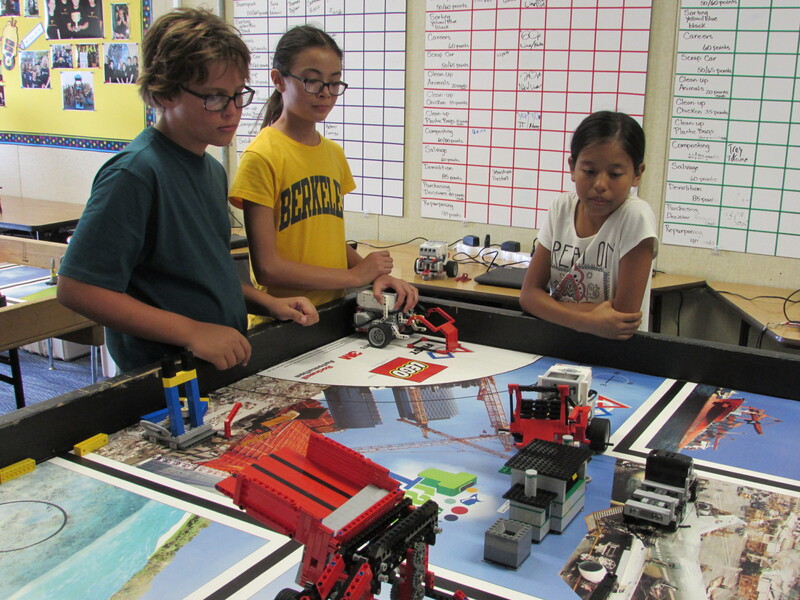 While the LEGO-based program has competitions judging design and functionality of robots, four Valley students made quite a splash at a recent city council meeting. At the Oct. 7 meeting, Will Ellenstien, Katelyn Lewis, Josie Dominguez and Makana Martinez rotated through their presentation outlining a compost program. The four described how it would reduce greenhouse gasses and allow the city to use the compost in place of fertilizer on city property such as parks. “I thought we should do it to see if this idea could actually be implemented into a community to help improve the environmental state,” Ellenstein said of presenting to the council. The four 11 year olds came prepared with copious amounts of research from the Environmental Protection Agency, state entities and other scientific outlets to back up their idea. For example, Ellenstein said food waste makes up 65 percent of landfills. “Composting also reduces greenhouse gasses and food waste,” Dominguez said. While the council did not discuss the presentation, Martinez said two council members approached the four students to thank them and inquire about their methods. The starting point for the kids, however, began in the summer as they began work on their projects. Ellenstein and Lewis are second-year participants, while Dominguez and Martinez are newcomers, but both newbies said they enjoy the program. 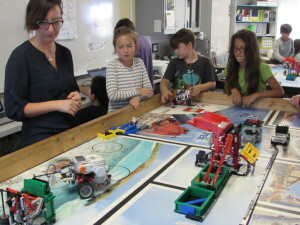 The program is part of the First LEGO League (FLL) and each year the FLL creates a system-wide issue for students to research and find a solution, said program instructor Mary Krescanko. This year’s challenge is food waste, hence the composting pitch to the city council. The fifth-year program leader said it’s a way for students to think critically and develop the research skills necessary to solve complex issues. As for the robots, the student design, build and program their devices to perform various automated functions. Krescanko only allows teams of six, which allows a better learning environment for the students. In total, 13 teams from the five schools make up this year’s crop of the robotics program. At the competitions, meanwhile, the teams are judged on their technology, research, teamwork and core values. The Jefferson teams will participate in a local competition in November, and the winners advance to a countywide competition. But the long game is what drives Krescanko. She said students who begin in elementary school, stick with the program through middle school will be far ahead of the curve entering high school. As a result, she it could funnel students into prosperous careers.